All amplifier models deliver uncompromisingly high output powers between 8 kW and 30 kW. This allows to successfully realise all PA tasks in permanent installations and in the touring business. The extreme load stability ensures a clean control of 2-ohm loads. “Suitable“ and “capable“ don’t describe the force of these amplifiers exerted to drive loudspeakers in an audiophile way and control them dynamically. Whether a cold start at -40 °C (-40 °F) in Russia or a searing 40 °C (105 °F) summer heat on the meadow – these amplifiers deliver a clean, audiophile and punchy amplification under all circumstances. Their high efficiency of up to 85 % and the no-compromise design from the aerospace and automotive industries deliver output powers and output currents that are without equal. The high reliability has shown since 2004 with all kinds of sound reinforcement jobs. Whether in 2-ohm running mode on hardstyle techno trucks, at large festivals or smaller events with only one amplifier. With five models an integrative material pool can be defined and managed in an economically optimal way in the rental and touring business. With two inputs and outputs the amps are very well suited for all applications. The continuously growing K2 loudspeaker library with currently 520 presets and 300 internal DSP memory locations ensures a maximum and worldwide unique flexibility. The amplifiers are the platform for all loudspeakers worldwide. Just like the amps, the K2 loudspeaker libraries are designed with utmost precision. The compact construction with 2 height units and 30 cm (12 in.) in depth, has a possibly record-breaking compactness and a surprisingly low weight of 10 kg (22 lbs.). 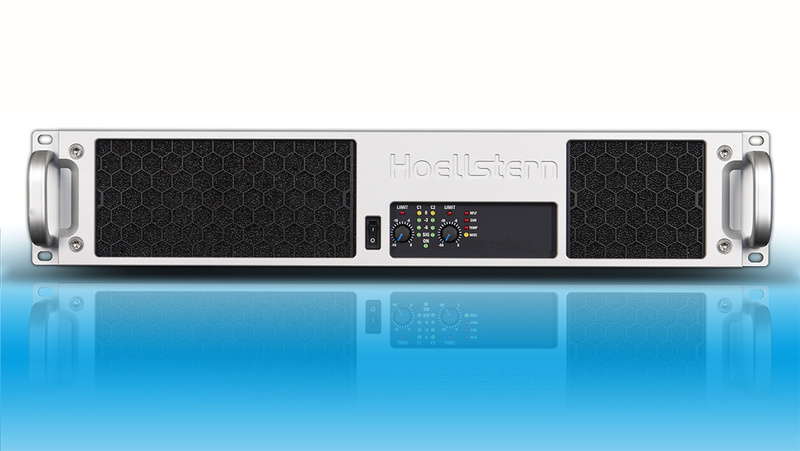 With its many insert nuts and high-strength screws including locking varnish, the robust sheet steel housing is exemplary for the legendary quality of the Hoellstern amplifiers. A 5-year warranty and a guaranteed production in Germany are an essential part of our product philosophy. There are many more benefits that are worth mentioning, but watch out: the motto “hearing is believing“ is true. A qualified A/B check says more than a 1000 words. Well, I was floored and all others were too. Unbelievable, listening to loud music is nothing but fun! Your limiters do very precisely just what they are physically supposed to do. We did an A/B shootout to compare the power consumption of the Delta 14.4 with other digital power amps. Hoellstern has a much better power management!